Dr David Kreps is an 'early adopter', pioneering thinker and commentator, with a fascination for technology and its impact upon society. A web developer since 1995, (making probably the first Arts Centre Website in the UK) he did his PhD thesis on Cyborgism, and has become an expert in Web Accessibility, and explorer into the philosophy of Virtuality, and Cultural Identity in the Socially Networked society. Dr Kreps' research interests fall broadly under the umbrella of Information Society. His background in Cultural Studies and Sociology bring a critical and philosophical approach to his research in Information Systems. Books include: "Bergson, Complexity and Creative Emergence." (Palgrave MacMillan), "Gramsci and Foucault: A Reassessment," (Routledge) and "Technology and Intimacy: Choice or Coercion" (Springer). 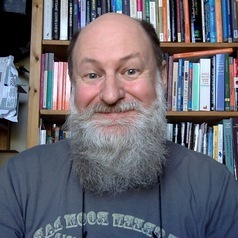 David is currently Chair of the 'IFIP TC9 Human Choice and Computers' series and is a Senior Editor of the journal 'Information Technology and People'.